NEWS – Since Apple has discontinued their Edition versions of the Apple Watch, there’s only the Hermes bands and faces to add a couture look to the Watch. But what if you could have a band made of the same material used to line Louis Vuitton bags or for covering the steering wheels in some Porsches, BMW M cars, and Lamborghinis? Yep, turns out that the suede-like Alcantara fabric (or Ultrasuede, as it was called when the synthetic microfiber fabric was invented back in the 1970s) can be used for Watch bands, too. 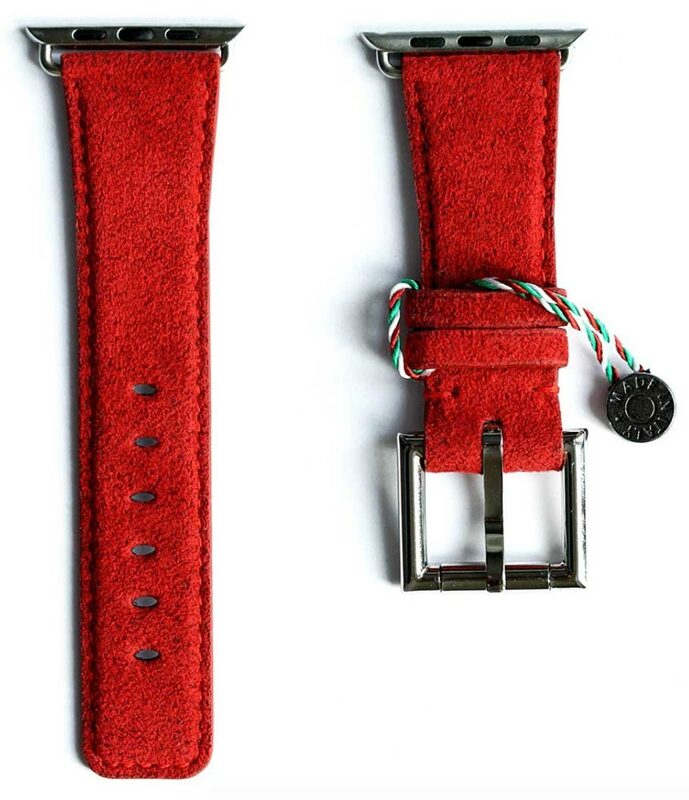 The Alcantara Watch Band is handcrafted in Italy of original Italian Alcantara. It has a metal buckle,color-matched stitching, and an Italian Rubberized Leather backing. It’s a unisex design, sized to fit the 42mm Watch. 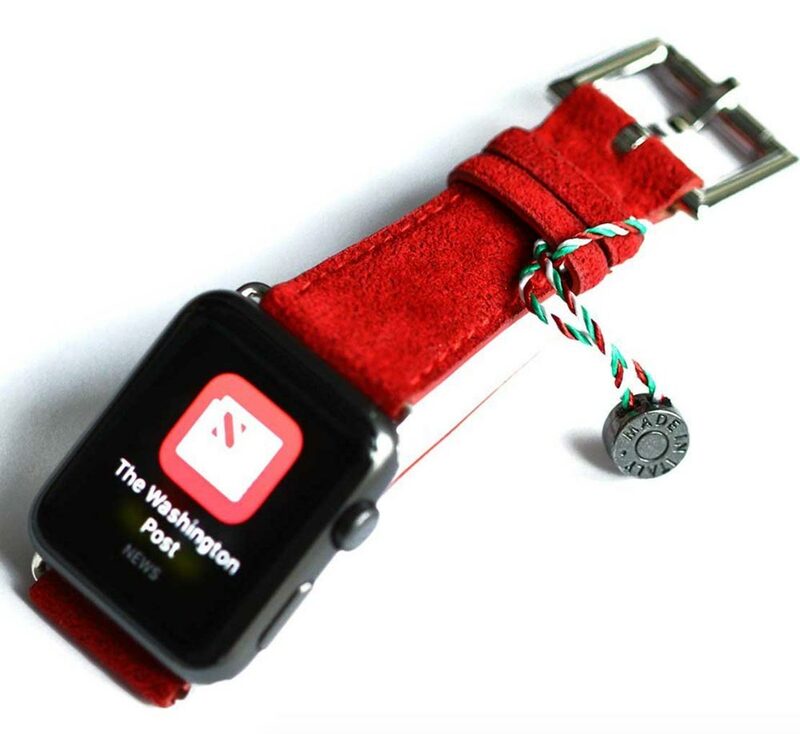 As offered by Fancy, the band featured here is available in red Alcantara, with your choice of white, yellow, red, or black metal hardware inserts to attach it to the Apple Watch. However, the 42mm band is also available in brown, indigo blue, and sapphire blue for $169. A blue version for the 38mm Apple Watch is available for $159. All bands come with a storage case and two tools. They ship from Italy and are available at the Fancy website.